PRICE REDUCED! Great Opportunity to put some work into a property and realize a big return on your money. This is a hot area, highly desirable. Charming home in coveted Mountain View/Berkeley In Jefferson! Great for first time home buyer or someone looking for office/rental income. Separate entrance to one room/one bath office/rental or easily open it up to single family home. Hardwoods in kitchen, halls. Freshly painted, new light fixtures, new carpet in bedroom, newer roof, newer boiler for hot water heat (you will love it, inexpensive too) within 7-9 years. Oversized 1 car det. garage with 1 car carport on the side of garage. Additional off street parking. Close to I-70 (3-5 min.) 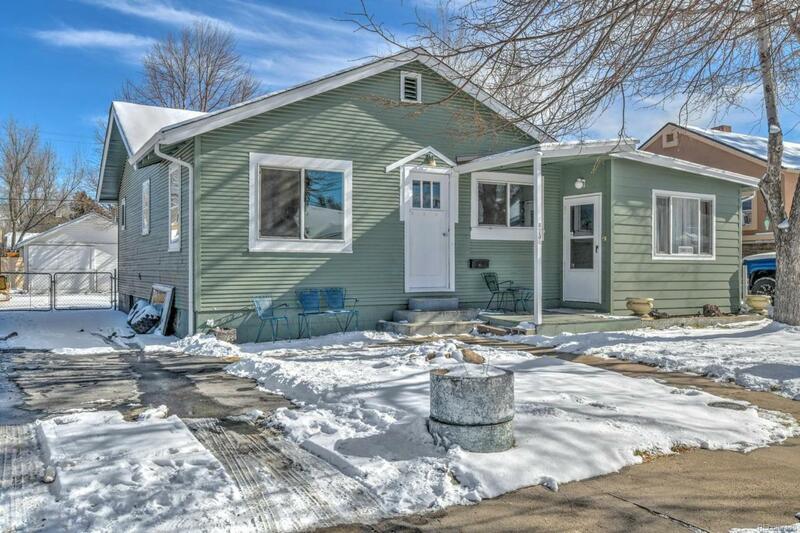 Close to RTD on 44th Ave, Sheridan WalMart across street, No quick deadlines, estate sale, one member lives out of state. No sight unseen offers. Listing Agent is related to owner and Personal Representative. Property is sold as is. Buyer backed out/qualification issue. All disclosures in Supplements.